CANMORE, AB – Grizzly Paw Brewing has announced the release of the second installment in the 622 Main Street Series, a selection of limited edition lagers brewed at – and named after the address of – the original Grizzly Paw brewpub in downtown Canmore. 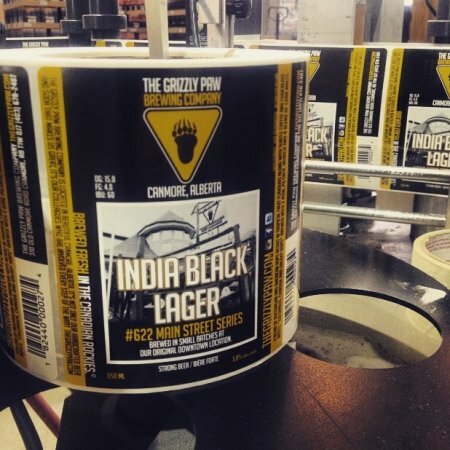 Grizzly Paw India Black Lager is a 5.8% abv and 60 IBU dark lager brewed with a blend of Australian and American hops that result in tropical fruit flavours. India Black Lager is available now in 650 ml bottles at the Grizzly Paw retail shop, and a one-off cask conditioned version will be tapped at the brewpub tomorrow (January 30th) at 5:00 PM.